Owen Bragg will sign his new children’s books at Book Passage! Owen Bragg will read from his new book, Ketinga the Cat, at Book Passage in Corte Madera on Sunday, November 20th at 1pm. Ketinga is a delightful children’s book about a cat and a mischievous mouse! 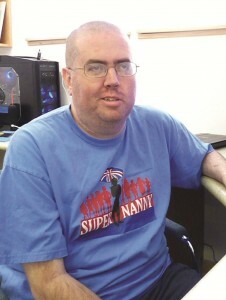 Owen is a fabulous graphic artist and a prolific illustrator who has developed over 100 original characters. This year at Autistry Owen worked with Suzi Musgrove of SLM Creative to produce two full-color children’s books. 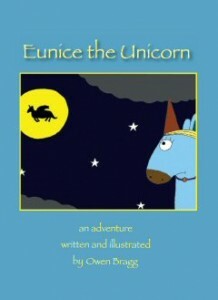 Owen will also be signing Eunice the Unicorn the adventures of a brave little unicorn fleeing from an evil tyrant. Both books are available online here: Buy Autistry Books. Category: Studio Newsletters | Comments Off on Owen Bragg will sign his new children’s books at Book Passage! The Autistry Studios Sibling Support group provides a place for teens who have a sibling with ASD to experience understanding and peer support, learn coping skills, highlight positive interactions and have fun! We will meet on Thursday evenings from 6:30-8:00 beginning October 27th and concluding December 22nd with a break for the week of Thanksgiving. We will also work together to plan at least 2 outing activities depending on the interests of the participants. These excursions may be on Saturdays. Sara Gardner, an educator and MFT trainee will lead the group. She will use art materials, games, and mindfulness exercises, but primarily focus on giving these special teens time that is all their own. The group activities will develop to meet whatever needs the members present individually and as a group. Group Fee: $50/session (1.5 hours). Meets weekly for 8 weeks. Activity Fee:	Additional fees may arise depending on cost of outing activities. Sara Gardner is a graduate student at Dominican University pursuing her Master’s Degree in Counseling Psychology. Sara has years of experience working with families and children on the autism spectrum. Sara is skilled at leading role-playing games and is developing a therapy model for working with young adults using role-playing scenarios. 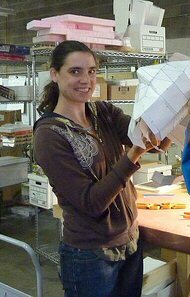 She will be supervised by Janet Lawson, MFT (#MFC 44746). This week we launch the first Autistry online commercial enterprise: the publication of Owen Bragg’s first children’s storybook, Eunice the Unicorn. Owen wrote and illustrated the story. And, with the guidance and professional support of Suzi Musgrove of SLM Creative, he has produced a gorgeous full-color hardcover book. We have a limited number of these special signed editions available at: Buy Eunice the Unicorn. 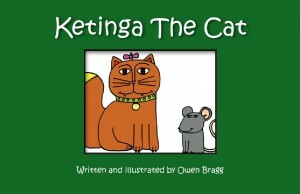 Owen’s second book, Ketinga the Cat will be available later this week! Owen is also featured on the online journal WordGathering in an article by local poet, Rebecca Foust. You can find the article here: Owen Bragg: Artist and Author. The publication of Eunice is the first step toward the fulfillment of the Autistry vision: building a community that supports the development and creation of entrepreneurial enterprises based on the interests, skills and talents of our members. In our Core Workshops students explore their wild ideas and learn skills to make those ideas real. To become an independent and productive member of a community we also need to market our ideas and skills. We have many more wonderful enterprises in the works – custom furniture, original artwork, greeting cards, culinary creations! 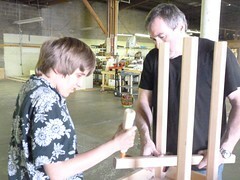 The possibilities are endless as the talents at Autistry are ever increasing. If we were launching a hi-tech product with the dream of huge financial returns we would be seeking huge venture capital investments. Our dreams are more modest and our need for start-up funding is correspondingly modest but nevertheless real. Creating these small social enterprises is an essential component to building a working community. To support our efforts please visit our Donation Page. It’s Spin Time: the 3rd annual Autistry Spin ‘n Sizzle happens Sunday, October 16th. This is a great way to support the Autistry programs. If you can’t make it on the day or you aren’t up for a spin – sponsor an Autistry member to spin for you. This year we will have several Autistry items available for sale and lots of of projects on view. To reserve your bike or sponsor a rider go to our Donation Page or email Janet: janet@autistry.com. This month we had a wonderful visit from Rudy Simone, an author/jass singer and Aspie! Rudy has written several great books for and about individuals with Asperger’s. Read more about Rudy on her website: Help 4 Asperger’s. We are making plans to host an evening with Rudy in January – stay tuned for details.